An artist’s impression of Columbus arriving in America by Wilhem Berrouet. 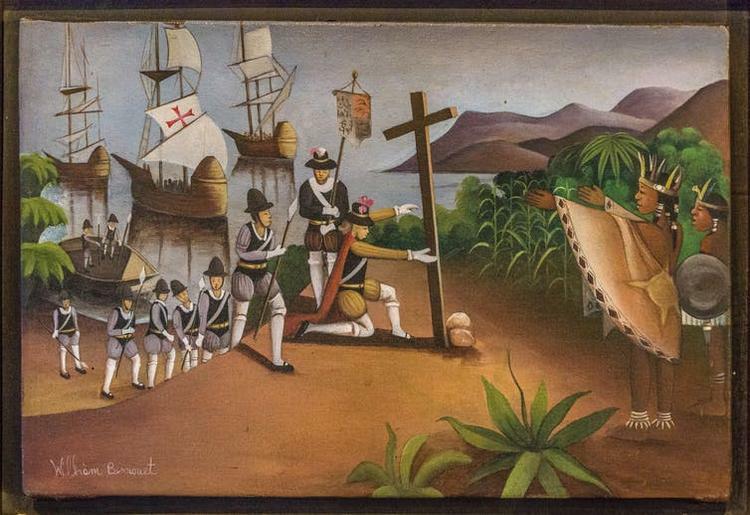 Columbus landed on the Cuban coast. This is DuPont’s House, Xanadu Mansion In Varadero, Cuba (Photo by Nicolas Economou/NurPhoto via Getty Images). PERU – JULY 22 : Incan terraces of Moray and Ruins of Pisac. The Incan site of Pisac and the agricultural terraces at Moray, near the old city of Cuzco, at an altitude of 3,500 metres, in Peru’s Andes on July 22, 2017, Peru. (Photo by Frédéric Soltan/Corbis via Getty Images).